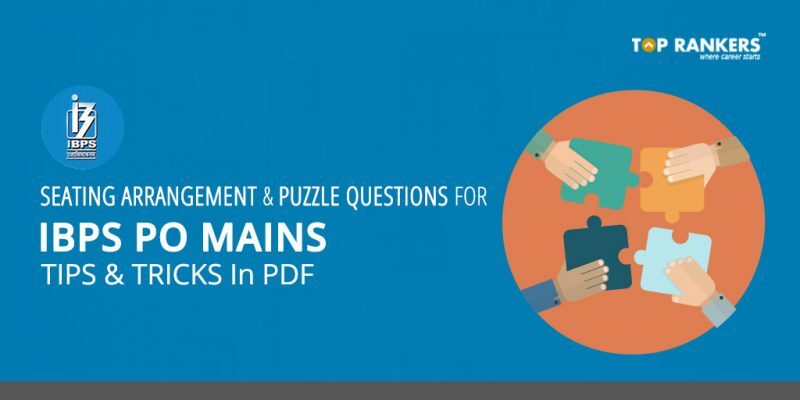 Seating Arrangement & Puzzle Questions For IBPS PO Mains: Tips & Tricks In PDF. 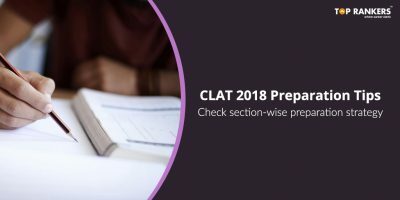 Prepare better for exams. 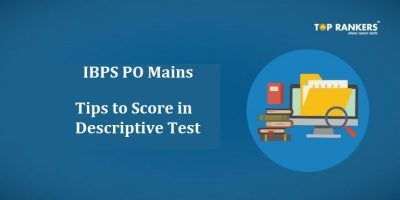 Seating Arrangement & Puzzle Questions For IBPS PO Mains: Tips & Tricks In PDF. Learn how to solve. Seating arrangement is the process of making people sit in a prefixed manner. This arrangement can be in the form of rows, circles, squares, or any other shape. It is a very important topic from the reasoning section. A set of information is provided along with certain conditions; and five to six questions are usually asked from one set. So, if you are able to crack the arrangement, you can easily score 5 marks. These questions are intended to test your ability to analyze information and solve the problems. 1) Read the information carefully to get an idea of the arrangement. 2) If the place of the person or the object is mentioned, you can place those specific persons / objects in their respective positions. 3) If the position is given with respect to another person, note that down as it can be found out when we get the exact position of the other person. 4) If information is provided about a person not sitting in a certain position, we can eliminate that possibility immediately. Here, the arrangement is done in one line or two lines. The direction to left and right changes according to the direction the person is facing: North, South, East or West. Here, the arrangement is done in a circle or around a circular table. All the persons may be facing inside or outside, or some persons might be facing inside while the others may be facing outside. When people are facing the centre, the people seated on the left half of the circle take clockwise direction. The people seated on the right half of the people take anti-clockwise direction. When people are facing outside, the people seated on the left half of the circle take anti-clockwise direction. The people seated on the right half of the people take clockwise direction. Similar to the circular seating arrangement, in this arrangement, people may be facing inside or outside or some may be facing inside while the others may be facing outside. 1) The question may seem big and complex, and scare you. But don’t be. 2) To solve any puzzle, you need to observe and make note of all the information and conditions provided. 3)Try to find the connections between separate information pieces. 4) Write down all the possible scenarios initially, and as you proceed further, you can eliminate the incorrect options. 5) For certain pieces of information, you might not find any connection with the other pieces. Note down this information separately. And you can place it when the remaining arrangement has been done with. 6) Practice and practice a lot. Only then will you be confident enough to solve questions. 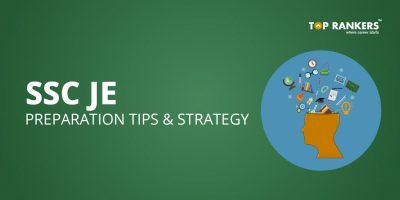 We hope you liked our post on Seating Arrangement & Puzzle Questions For IBPS PO Mains: Tips & Tricks. Keep visiting our page for more updates like this.